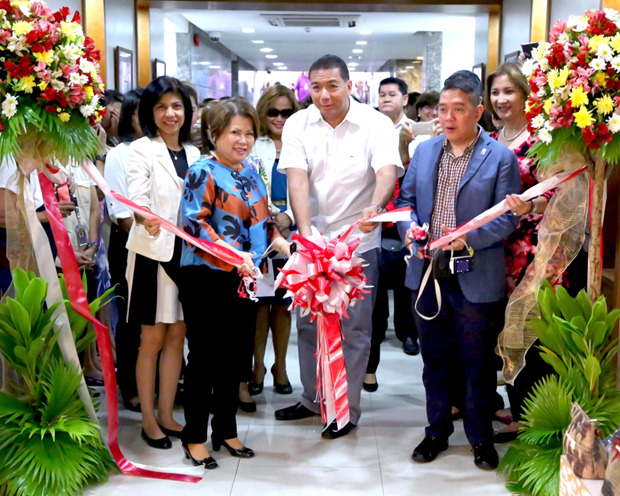 The Department of Tourism (DOT) office along Senator Gil J. Puyat Avenue and Jupiter Street in Makati City opens its doors again to the public as a must-experience venue for its “Countdown to Christmas: Celebrating the Regions” beginning September 21 until December 18. This Yuletide countdown will showcase the best tourism products and services of the Philippines’ 16 regions for a period of two weeks each. 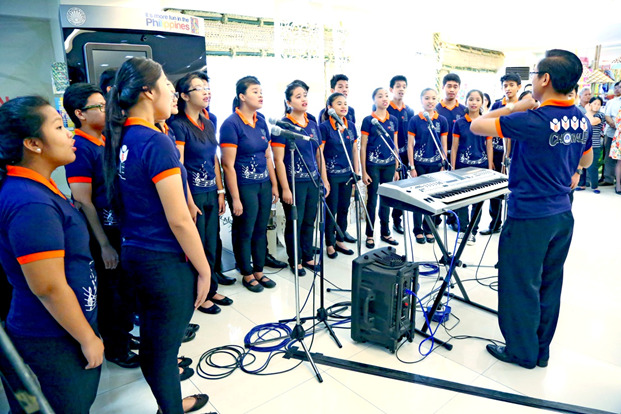 It will be the tourism regions’ yearly showcase during the Christmas season by promoting their diverse cultures through vignette fiesta performances, native arts and crafts, locally processed and packed food products as well as travel packages featuring both popular and emerging tourist destinations. The kick-off is also in time for the tourism month. 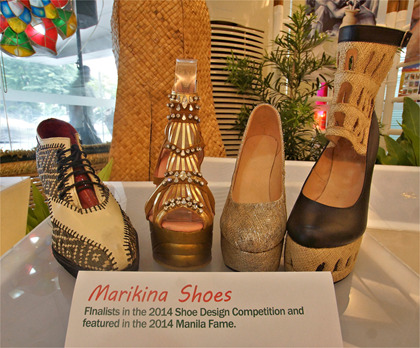 This year, the focus will be on Community-based Ecotourism (CBET) sites with their products and services. There will be a travel consultant or concierge to share information and give professional advice to visitors. 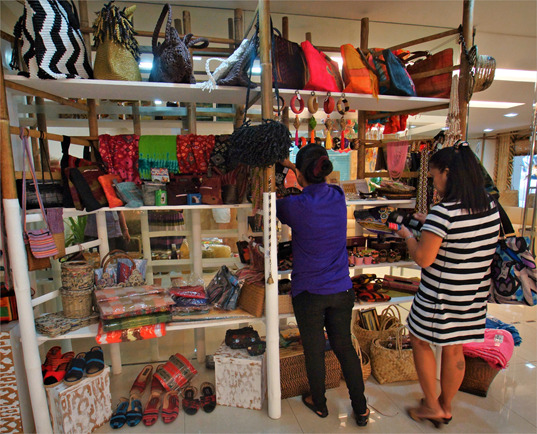 The building’s ground and second floors will be converted into an Eco Store where the regions’ native products, especially gifts for Christmas, will be on sale on said duration. 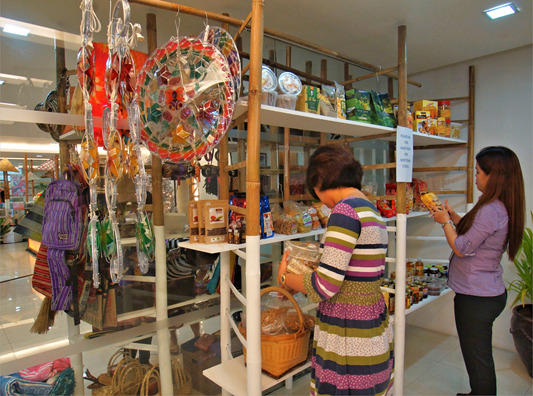 Some of the display items for sale at the ground floor of the DoT building. “No need to do heavy shopping when you travel out-of-town during the holidays. Through the ‘Countdown to Christmas: Celebrating the Regions,’ we are bringing the best local products and tour packages for the most affordable price right here for the next three months. This is our humble way of bringing Yuletide’s good cheers and warmest greetings to all Filipinos and our visitors,” says Undersecretary Maria Victoria V. Jasmin of the Tourism Regulation, Coordination and Resource Generation (TRCRG) sector. The clusters which will be on display are: Metro Manila (September 21-October 2), Southern Luzon (October 5-16), Mindanao (October 19-30), Northern Luzon (November 3-13), Visayas (November 16-27), and One Philippines: All Regions (November 30-December 18). Cover Photo (L-R): Catherine Agustin, Head, Internal Services, DOT National Capital Region (NCR); Undersecretary Maria Victoria V. Jasmin, DOT Tourism Regulation, Coordination and Resource Generation (TRCRG); Oscar Feliciano, Makati City Tourism Officer; and Assistant Secretary Arturo Boncato, DOT TRCRG. For more details, please contact the office of DOT Assistant Secretary Arturo Boncato, Jr. through artboncato@gmail.com or telephone numbers 459-5200 to 30.